In prepping for the Asian Winter Games, South Korean women’s hockey players practiced before empty seats at Tsukisamu Gymnasium in Sapporo, Japan, on Wednesday, and with plenty of butterflies in their stomachs. American-born coach Sarah Murray worked the 20-player team through a 75-minute practice session at the arena, which will host the women’s hockey tournament at the eighth Winter Asiad. The opening ceremony is Sunday, but women’s hockey will commence on Saturday with all six nations in action. South Korea will face Thailand, Hong Kong, Kazakhstan, China and Japan in a round-robin play, with the top three teams taking home the medals. South Korea is trying to win its first Winter Asiad medal in women’s hockey. Murray’s team has been in Japan for two weeks. South Korea played Germany and Austria, and a local women’s team earlier this month in another town in Hokkaido, and then got their first look at Tsukisamu Gymnasium Wednesday. Murray ran the players through some five-on-five and one-on-one situations, and also some drills on special teams and breakaways. South Korea has come a long way to even have medal aspirations at the Asian Games. Last year, South Korea finished second at the 2016 International Ice Hockey Federation (IIHF) Women’s World Championship Division II Group A, its highest position ever at an IIHF championship. As significant as it will be to win a medal here, Murray said the Olympics in 2018 will mean even more to her team. And there’s nothing like putting some of her young players through trial by fire this month. role in winning its friendly matches against Japan and Denmark on Saturday. The team aims for gold at the 2018 Asian Winter Games. 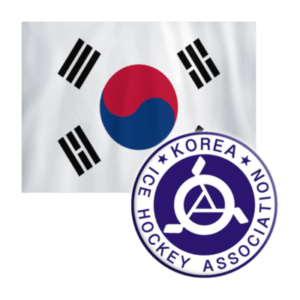 With the addition of Canadian-born Korean ice hockey goaltender Matt Dalton, the Korean men’s ice hockey team dreams of a “miracle on ice” at the 2018 PyeonChang Winter Olympics. The team came a long way as they once lost to Japan 25-0 in 1982, and lost all five matches at the 2014 Division I Men’s Ice Hockey Championships. At the time, the goaltender was pointed out as Korea’s weakness. Over the past few years, the Korean men’s ice hockey team showed significant improvements with the addition of Dalton. Last April, Korea earned its first win against Japan in 34 years at the 2016 Division I Men’s World Ice Hockey Championships. Recently, the 23rd-ranked team in the world swept Japan 3-0 at the Euro Ice Hockey Challenge, a friendly match between four countries, in Goyang, Gyeonggi on Saturday. With the win, Korea’s record against Japan improved to 2 wins, 1 tie and 19 losses. “I feel good that we won against our historical rival, Japan,” Dalton said after their match against Japan. Not only that, Korea won against the 13th-ranked team, Denmark, 4-2 during Saturday’s friendly match. Dalton was granted Korean citizenship in March 2016 under a special naturalization law. During his college career, Dalton was a goaltender for Bemidji State University, where he helped the team advance to semi final of the NCAA Division I men’s ice hockey championship and in 2009, he signed as a free agent by the Boston Bruins of the National Hockey League (NHL), but never made an appearance. After he played in the Kontinental Hockey League (KHL) for three years, he then played for Anyang Halla of the Asia League Ice Hockey. In ice hockey, when a player shoots a puck to the net, the speed of the puck is about 170 kilometers per hour (106 miles per hour). The goaltenders have to block about 30-50 of those shots per game. “Playing baseball in high school helped a lot with catching pucks,” Dalton said. Although he no longer plays baseball, Dalton enjoys watching baseball as he is a fan of the Doosan Bears of the Korea Baseball League. Dalton played a big role throughout the season helping Anyang Halla lead the league as he recorded 1.68 goals against average with 0.938 save percentage in 40 games. Dalton is aiming for gold at the 2018 Asian Winter Games starting on Feb. 18 in Sapporo, Japan. The team is scheduled to play against Kazakhstan, the 16th-ranked team, on Feb. 22, Japan on Feb. 24 and China on Feb. 26. Korea will have to overcome Kazakhstan to have a chance at winning a gold medal. At the Olympics, Dalton will have to face Canada, the best hockey team in the world as well as his home country. Star players such as Jonathan Toews of Chicago Blackhawks of the NHL are part of the Canadian men’s ice hockey team. “I’ll try my hardest in helping the Korean team, my second homeland, at the Olympics,” Dalton said. If the NHL doesn’t send its players to the 2018 Winter Olympics, the hockey tournament in Pyeongchang, South Korea will look familiar. It will look a lot like the Olympics in Lillehammer, Norway in 1994, Albertville, France in 1992 and Calgary in 1988. With a year before the opening ceremony, the league, players union, International Ice Hockey Federation and International Olympic Committee still don’t have an agreement to send NHL players to their sixth consecutive Olympics. There is still time – an agreement last time around came in July before the 2014 Games in Sochi, Russia – but everyone is forming a Plan B just in case. Russia might have Alex Ovechkin if he makes good on his intention to go no matter what. But the United States, Canada and other countries are preparing for life without the best players in the world. If the likes of Patrick Kane, Jonathan Quick, Jack Eichel and Ryan Suter aren’t available, USA Hockey will look mostly to the college ranks. If Hockey Canada can’t take Sidney Crosby, Jonathan Toews, Drew Doughty or Carey Price, it will try to defend the gold medal with a mix of European-based professionals, North American minor leaguers and players from the Canadian junior leagues and NCAA. The United States has a fresh set of heroes after shootout star Troy Terry, defenceman Charlie McAvoy and goaltender Tyler Parsons won world-junior gold last month. Mix them with top college players such as Notre Dame’s Anders Bjork and Wisconsin’s Trent Frederic and ex-NHLers Keith Aucoin and Nathan Gerbe who are playing in Europe, and the Americans will have plenty of youth and experience. Dave Starman, a former coach in the minors and now an analyst for CBS Sports, said USA Hockey’s priority should be scoring, scoring and more scoring. No problem there for Canada, which has plenty of big, tough skill players and hasn’t waited for the IIHF to set any 2018 parameters as it prepares its contingency plan. Canada’s team for the December Spengler Cup in Switzerland could serve as a blueprint: minor leaguers Cory Conacher and Zach Fucale and European-based recent NHL players Daniel Paille and Nick Spaling. While IIHF president René Fasel would like a final decision sooner rather than later to plan for South Korea, Renney said Hockey Canada could put a team together quickly. Like USA Hockey, Canada can pull from its national junior team but has more veteran talent in Europe and the American Hockey League to choose from. Former NHL goaltender Ben Scrivens in Russia’s KHL is an option, for example, as is journeyman Michael Leighton, who is in the Carolina Hurricanes’ system. Though Leighton firmly believes NHL players will go, the 35-year-old said he would “train as hard as I possibly can to get that job” if they don’t. AHL president and chief executive officer David Andrews expects his league to be open to allowing players to go to the Olympics as long as NHL teams give individual minor-league players permission. “I think it’ll be an interesting question, though, for a lot of general managers because the player that is going to be asked for is going to be probably their No. 1 player outside the NHL club,” Andrews said. “They kind of face that question of, ‘Do we want our No. 1 call-up to be in South Korea for two or three weeks?’” Some NHL owners might even give their elite players permission to go, and Ted Leonsis of the Washington Capitals has said repeatedly he’d let Ovechkin, Swede Nicklas Backstrom and Canadian Braden Holtby represent their countries, though Holtby said he would never leave the Capitals midseason. The IIHF might set roster parameters to prevent NHL players from participating, too. Hall of Fame defenceman Mark Howe would be fine with that. After winning a silver medal playing for the United States in 1972, he supports amateurs because he feels the 1980 “Miracle On Ice” victory over the Soviet Union had a greater impact on the sport than professionals playing in the Olympics. True, but 1998 and 2002 U.S. Olympian John LeClair is worried about a talent disparity next winter if Russia put Ovechkin and dominant KHL players Pavel Datsyuk and Ilya Kovalchuk against American college kids. week in Plaster Rock, N.B. GEORGE TOWN, CAYMAN ISLANDS—After trading long Canadian winters for the perpetual summer of this luxurious Caribbean tax haven, Bill Messer was content to enjoy the soft sands and warm waters of island living. The only thing he really missed was hockey. So in 2003, when he saw a television report about the nascent World Pond Hockey Championship, he began plotting a strategy to get a team from his adopted home ready to play in his native country, Canada. The initial response to his inquiry, however, felt like a cold slap in the face. The tournament organizer, Danny Braun, warned Messer in an email that it was frigid up in Canada and that hockey was a very fast, very rough game. As he read the email, Messer said, he realized that he had not made it clear to Braun that he was Canadian. “He thinks I’m Caymanian,” Messer said, laughing as he relived the moment inside a restaurant across from Grand Cayman’s famous Seven Mile Beach. Braun remembers his initial reaction well. “I had a bit of a chuckle thinking this was going to be like the movie Cool Runnings, about the Jamaican bobsled team,” he said in a telephone interview. Once Messer clarified that he had once played Senior A hockey in Saskatchewan, Braun opened the door for the Cayman Islands to become the first team from the Caribbean to enter the pond hockey tournament, held annually in Plaster Rock, N.B., a village of a little more than 1,000 residents about 40 kilometres east of the border with Maine. What began in 2002 as a way for Braun to raise money for a new recreation centre in his community has grown into a sprawling international event. Twenty games will go on at once on Roulston Lake, with the scaled-down teams playing on scaled-down rinks. More than 100 teams will take part this year, and although Puerto Rico and Bermuda have sent teams in the past, the Cayman Breakaway are the region’s experienced hands at on-ice international relations. When the puck drops Thursday, it will be the team’s 13th straight appearance in the event. The seemingly unlikely hockey outfit has been among the top 32 playoff teams on three occasions and has a winning record overall. Throughout the years, the Breakaway have become media darlings, and the gifts they bring from home — chiefly rum and rum cake — have made them popular with the other teams that venture to Plaster Rock. In 2003, Messer faced long odds. The founder of an asset-management firm, Messer, now 55, had to find teammates. And ice. There was — and still is — no ice rink on Grand Cayman. Over rum and cokes, Messer first recruited his friend Norm Klein, 53, a lawyer who had played peewee hockey with the NHL Hall of Famer Ron Francis in Sault Ste. Marie, Ont. The two then created a short list to fill out the roster. Some potential players were too old; some were too fat. Another was ruled out because his wife would not let him go. Commitment was necessary from the very beginning. Hurricane Ivan struck Grand Cayman in September 2004, flooding the island, submerging homes and knocking out power. “Both Bill and I were unable to live in our houses while they were rebuilt for the next six to 12 months,” Klein said. Klein tried in-line skating to keep his legs in shape, but it was not the same. The team needed to find ice, and needed it fast. Among the original recruits was Joe Stasiuk, 57, from Toronto, a consultant to the energy and aluminum industries who played some Junior B hockey with Wayne Gretzky. He was put in charge of finding the ice, an undertaking that meant looking 1,000 kilometres to the north in Florida. The stars suddenly aligned. A lockout that wiped out the 2004-05 NHL season left behind a thirst for hockey. “We came in at the right time for a novelty story,” Messer said. Soon, the team got Cayman Airways on board as a sponsor. The airline promised to fly the players, at no cost, to the Tampa Bay Lightning’s practice site to train for six weekends leading up to the tournament. The first time they showed up at the practice site, they were met with laughter. They were given unfavourable practice times — 11 p.m. or 6 a.m. — but that was just another obstacle to overcome. There were more hardships ahead. Throughout the years, two players who are no longer with the team went through divorces. Messer’s wife, Eleanor, died of cancer in 2015. And then there is the march of time and the pull of gravity. Overweight and showing their age, team members have instituted yearly weigh-ins to hold one another to account. Their preparation is based on the fear of embarrassing themselves on the ice, though that is rare. Indeed, it is the opposition that is sometimes embarrassed, as a young squad from the Netherlands found out firsthand one year in a loss to the Cayman Breakaway. By 2006, the Breakaway were a feel-good story in a sport still recovering from the NHL lockout. The team donated a jersey for display in the Hockey Hall of Fame, and players attended the ceremony in Toronto. They see their quasi-celebrity status as a chance to build up the sport in the Cayman Islands, where NHL games are regularly shown in sports bars and roller-hockey and ball-hockey programs have been in place since the 1980s. Christine Maltman, Klein’s wife, successfully pitched a fundraising idea, incorporating a weekend hockey camp, to the Lightning. Three dozen youngsters from the Cayman Islands took the ice in 2011 with former NHL players Dave Andreychuk and Brian Bradley. They were also treated to a postgame meet-and-greet with the Lightning’s captain at the time, Vinny Lecavalier. While hockey has been making inroads in warmer climes — Auston Matthews, picked first overall in the 2016 draft by the Toronto Maple Leafs, grew up in Arizona — no one is expecting a star to come directly out of the Cayman Islands anytime soon. But that does not mean that potential NHL talent cannot start out in the islands. One current team member, Darren Lawrence, a partner at an accounting firm chartered in New Brunswick and a former Junior B player who spent time on a line with Joe Thornton of the San Jose Sharks, moved his family back to Canada so his son Josh, then 6, could trade roller hockey for the real thing after showing professional potential. “We wanted to move back before he would start to miss out on the key development ages for hockey,” Lawrence said. 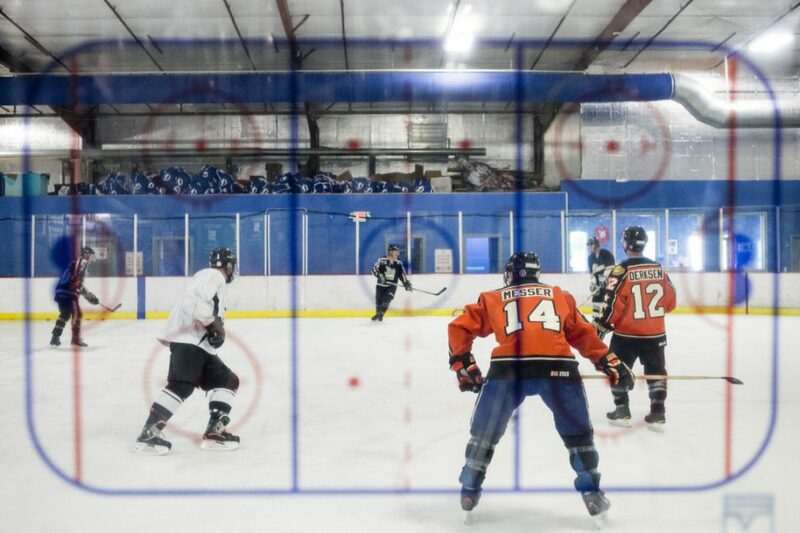 Josh, 15, is now attracting the attention of coaches and scouts while playing at a hockey academy at South Kent School in Connecticut. He is considering how best to further his career and is projected to be a future NHL draft pick. “He is trying to decide if the Quebec Major Junior League or the NCAA is the right way to go for him,” Lawrence said. Though Lawrence still plays with the Breakaway despite his return to Canada, the rest of the team has stayed put with members having spent more than 20 years in the Cayman Islands. “This is home,” said Klein, who has a teenage daughter and son. But for one week a year, home is a sheet of Canadian ice under their feet. With a splash of rum.